Shortly after the turn of the millennium, a 25-year-old college drop out had an idea to create the first blue liqueur on the market. Raphael Yakoby sold his flat and moved back into his parents’ house to sell his product Hypnotiq vodka by approaching restaurants door to door. When the brand took off his choice of millionaire abode was equally exotic and unconventional. 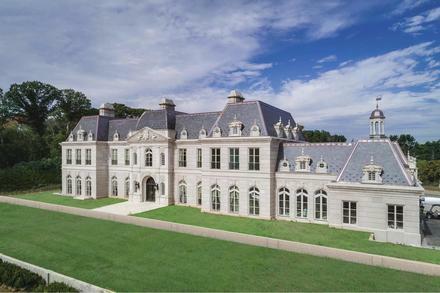 He set about building his own Versailles palace in Long Island which is now on the market for $60million. Designed and constructed in the spirit of the Gilded Age of Long Island’s Gold Coast, every facet of the palace incorporates traditional building materials and methods. 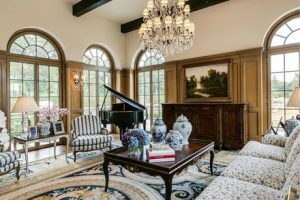 The 160-foot-long house features a front door with wrought-iron metalwork, a scale replica of a door found at Versailles. 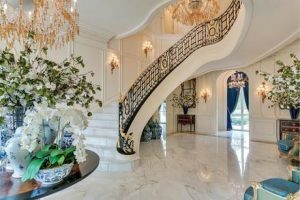 Inside, the cast iron and gold leaf banister on the grand staircase is a replica of one found at Le Petit Trianon, the retreat of Marie Antoinette. 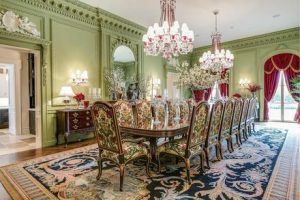 The 22,000 square feet of living space is decorated with Baccarat crystal chandeliers worth $2.5 million, six 19th-century marble fireplaces, imported furnitures, fixtures and fabrics. 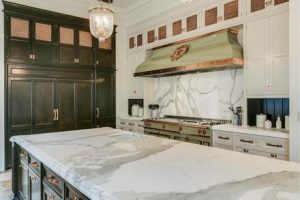 According to Mansion Global the family only moved into the property a few months ago but Yakoby is open to the idea of a new project. 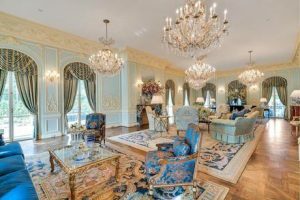 Perhaps this homage that still resembles a strange clash of millionaire chic and royal rococo was a mere forerunner to a grander palace. Maybe the new one will take on the challenge of recreating the legendary Hall of Mirrors. HPNOTIQ is a blend of premium French vodka, fruit juices and a touch of cognac. It is best served chilled by itself or with your favorite mixer, although vodka, coconut rum or champagne are recommended.